Jesmonite Pigment - Industrial Plasters Ltd.
Jesmonite Pigments - also can be used for colouring Plaster. 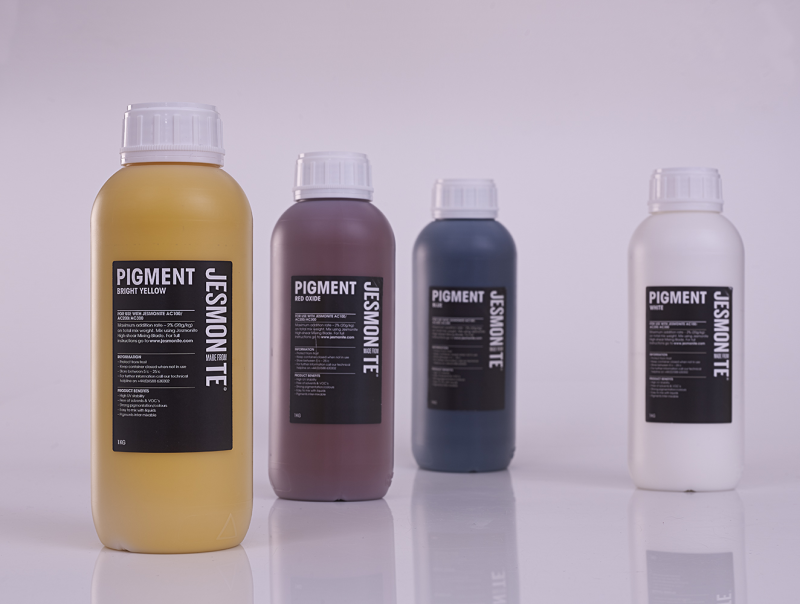 Jesmonite Pigments allow Jesmonite AC100/200/300 (Not compatible with AC730) to be made into any colour required. 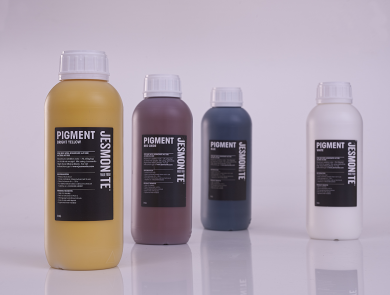 Jesmonite Pigments can also be mixed together to create almost any colour needed. Jesmonite Pigments must be added to the Jesmonite Liquids by weight before the Jesmonite Base is added and mixing commences. Jesmonite Pigments are added at a maximum of 2% by weight of the total mix, or 20 grams/kilo of total mix (Base and Liquids). Scales with a minimum of 1g increments should be used when adding Jesmonite Pigments. 20g will produce a strong, saturated colour. For lighter colours simply reduce the addition rate until the desired colour is achieved. Please note that Jesmonite Base is a natural material and as such is subject to minor variation – please take this into account when making very pale objects or when using the material without Jesmonite Pigment. Jesmonite Pigments can also be used to pigment plaster, add at 2% by weight, as above.